The first event was the publication of two separate recommendations/plans on open science, a report by the National Academies in the US, and Plan S by the EU on open access. Notably, although comprehensive and bold in many other regards, neither report/plan called for open infrastructure to underpin the proposed open science initiatives. the plan promises support for OA infrastructure, which is good. But it never commits to open infrastructure, that is, platforms running on open-source software, under open standards, with open APIs for interoperability, preferably owned or hosted by non-profit organizations. This omission invites the fate that befell bepress and SSRN, but this time for all European research. The second event was the launch of Google’s Dataset Search — without an API. Why do we care? Because of opportunity cost. Google Scholar doesn’t have an API, and Google has said it never will. That means that no one has been able to integrate Google Scholar results into their workflows or products. This has had a huge opportunity cost for scholarship. It’s hard to measure, of course, opportunity costs always are, but we can get a sense of it: within 2 years of the Unpaywall launch (a product which does a subset of the same task but with an open api and open bulk data dump), the Unpaywall data has been built in to 2000 library workflows, the three primary A&I indexes, competing commercial OA discovery services, many reports, apps of countless startups, and more integrations in the works. All of that value-add was waiting for a solution that others could build on. If we relax and consider the Dataset Search problem solved now that Google has it working, we’re forgoing these same integration possibilities for dataset search that we lost out on for so long with OA discovery. We need to build open infrastructure: the open APIs and open source solutions that Peter Suber talks about above. As Peter Kraker put it on Twitter the other day: #dontLeaveItToGoogle. The third event was of a different sort: a gathering of 58 nonprofit projects working toward Open Science. It was the first time we’ve gathered together explicitly like that, and the air of change was palatable. If you are a nonprofit but you weren’t at JROST last month, join in! It’s just getting going. So. #openinfrastructure for #openscience. Everybody in scholarly communication: start talking about it, requesting it, dreaming it, planning it, building it, requiring it, funding it. It’s not too big a step. We can do it. It’s time. ps More great reading on what open infrastructure means from Bilder, Lin, and Neylon (2015) here and from Hindawi here. Still time to submit to OR2019; I’ll be keynoting! Citations in Supplementary Material can be indexed! 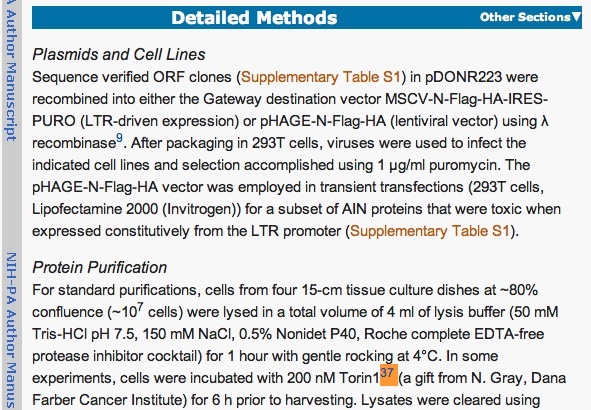 Links from the data collection article: Inline or in the bibliography?